Island Of Kelba, Second Part Of The Revamp, Now Available In Wakfu - KABALYERO - PLAY, BLOG & EARN! 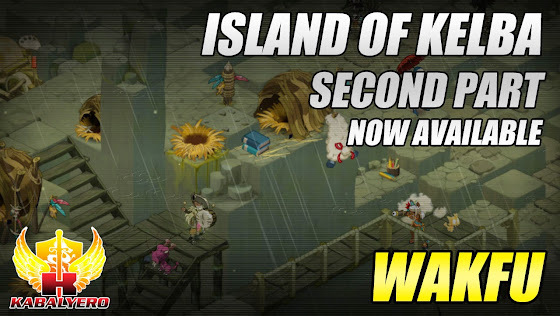 The second part of the revamp of the Island of Kelba is now available in Wakfu. The island of Kelba from the Wakfu Animated series is filled with many secrets for you guys to discover. With a new design and a new transmedia adventure, a new area is waiting for you in this tactical online mmorpg. The second part of the island of Kelba is now available to you guys. You guys can now continue the quest to recover a sought-after artifact. Players, that's you, will get to fight the Black Crow, seen in episode 3 of the first season of the series, and another transmedia character. Who this character is, you'll just have to play the game to find out.